Here are the Bains to tell us! You might find it ironic that a book series based on the characters from a television series includes a book inspired by another television series. But we like irony. 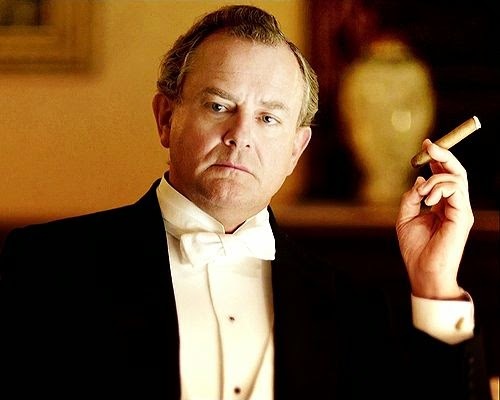 For those of you not familiar with “Downton,” it’s a PBS series about an English aristocratic family caught up in changing times and mores of the post-Edwardian era. It’s one of the superb British costume dramas that show up periodically on public television and inspire a devoted following—including us. 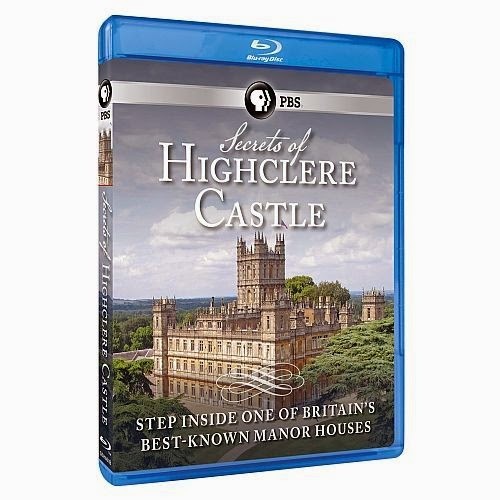 Its predecessor in the same vein was “Upstairs Downstairs,” which we also loved and whose 68 episodes chronicled the same social milieu in the 1930s. 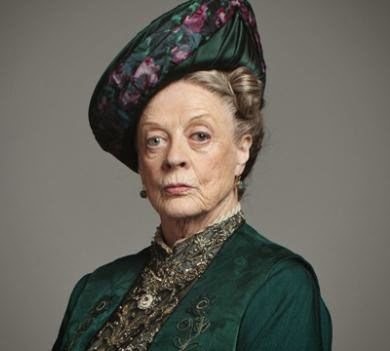 The fifth season of “Downton Abbey” is currently airing in the still-United Kingdom (Thank you, Scotland!) and will show up on U.S. TV in January 2015. What is it about the lives of England’s advantaged class that so captivates us? After all, we sloughed off the rule of Mad King George 238 years ago—and violently, too. Yet we’re still fascinated by the nobility we rejected, the extravagant behavior of the lords and ladies that repelled us when we were expected to finance it. Renée’s theory is that these shows are simply grown-up fairy tales with castles and balls, and elegantly dressed men and women waited on by an army of servants—a dream life found in the pages of “Cinderella,” “Snow White,” “Sleeping Beauty,” et al, that a good many of us were raised up on in nightly stories—at least the females among us, Don adds. 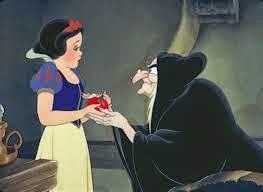 Of course each fairy tale had a stumbling block to happiness in the form of an evil stepmother, poison apple, or witch’s curse, just so we wouldn’t think a life of privilege came easily. 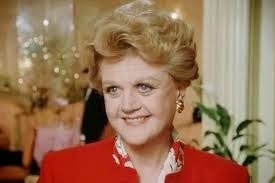 In Death of a Blue Blood, Jessica Fletcher is invited to a New Year’s Eve ball at Castorbrook Castle in the Cotswolds (talk about alliteration!). And her “plus one” is the handsome Scotland Yard inspector, George Sutherland, who has been wooing her since the very first book in the series, Gin & Daggers. Readers are divided over who Jessica’s love interest, if any, should be, with many rooting for Dr. Seth Hazlitt, her usual companion on the television show. But George has a pretty good fan base by now, having appeared in at least half a dozen of the books. Violet, played on television by the delightful Maggie Smith. “Who was she?” I asked George in a low voice. “Didn’t anyone miss her?” I whispered. 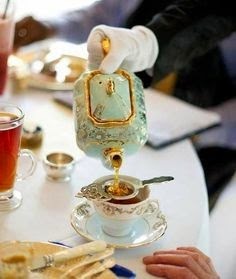 I took a sip from the delicate china cup and replaced it in the saucer. I was wrapped in a heavy blanket in a wing chair in a corner of the drawing room near the tall Christmas tree, the branches of which held swags of gold ribbon, gold glass balls, and electric candles. George sat on an ottoman by by my side. There were ten of us gathered for afternoon tea. George and I were the only ones who weren’t members of the family, but a few other guests were expected to arrive at any moment. Our hosts, Lord and Lady Norrance, had fussed over me in my disheveled state, but were understandably far more upset to learn of Mrs. Beckwith’s demise. “Oh! We hadn’t thought...” the earl’s wife trailed off. “You really should, you know,” said a young woman dressed in jodhpurs and boots. “We’ve had a death in the family.” She released the scarf around her neck and shook out her dark blonde hair. “We could hardly cancel now,” the earl said. “People are already arriving.” He waved an arm in George and my direction. “Wasn’t she a governess once?” the dowager asked. Marielle flushed and looked to her husband for defense, but he was lost in thought as he stared into the fire. Jessica begins to investigate the background of the dead woman and George, who’s convinced her death was an accident, reluctantly joins in. We had fun tramping around our fictional castle, peeking into the elegant halls on public display and the scruffier ones behind the scenes, and most of all, creating the colorful array of characters led by Lord and Lady Norrance. We hope you enjoy our latest effort. So, Jungle Red Writers and readers: Do you have a favorite fairy tale? Is there a castle in it? 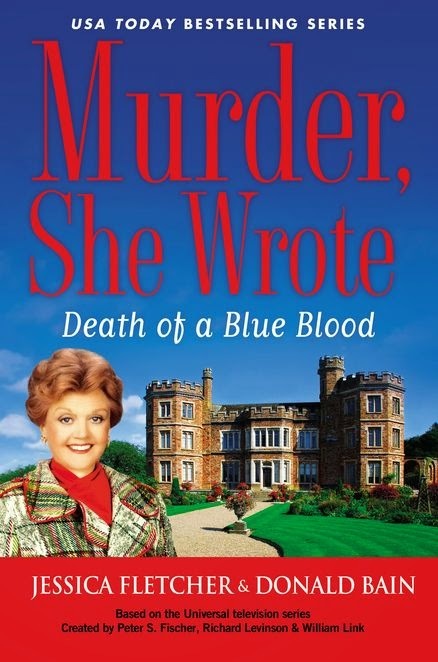 Murder, She Wrote: Death of a Blue Blood, published by the Obsidian imprint of Penguin Group, is bylined by the fictional Jessica Fletcher and the actual Donald Bain. Don’s wife Renée Paley-Bain collaborates with him on the series. 2014 marks the 25th year of “Murder, She Wrote” in print. Don, who has written more than 120 books, is also the author of the “Margaret Truman Capital Crime Series” (Tor/Forge), and, this year, had his first stand-alone thriller published under his own name, Lights Out! (Severn House). How lovely to read the behind-the-scenes for your latest Jessica Fletcher book . . . I'm looking forward to reading it. Don't most fairy tales have a castle? I've always had a particularly soft spot for Cinderella, perhaps because it's so much fun to read to the Little Ones . . . . I don't know that I have a favorite fairy tale, although I am very hooked on ABC's Once Upon a Time, so that take on classic fairy tales is definitely my favorite version of the genre - at least at the moment. Totally grounded in the real world (45 years of law practice will do that to one), I am unable to stomach fairy tales unless there is some kind of "explanation" for them. So I can't abide "Once Upon a Time" (an elongated promo for the Disney version of many fairy tales and variations on the theme) but I adore "Grimm" which is rooted in an explanation (the Grimm brothers' creatures were real and only Grimms can see them). The special effect on "Grimm" are wonderful and parts of the show are often charming (LOVING Monroe and Rosalee), but then, the creators of "Grimm" formerly worked on "Buffy," which was also wonderful. And I like something well researched, and not full of stereotyped characters. Harder and harder to find. My favorite fairy tale is the version of Cinderella told to us by our grandmother. She acted out the parts. Her depiction of the wicked stepsisters was hilarious! Welcome Renee and Don--this book looks like such fun! We are Downton Abbey addicts too, and also addicts of Rhys's Lady Georgie, so this will feed the same hunger! The excerpt feels so real--and makes total sense that Jessica will want to nose further into the mystery. She would not want to see someone dismissed as "not counting". Love the excerpt! Don and Renee, I'm sure the second most frequent question you guys have to field is: have you met Angela Lsnsbury and is she as lovely s she seems? I'm remembering what a thrill it was the first time I went through "Sleeping Beauty's Castle" when Disneyland opened ages and ages ago. Positively transported, though that fairy tale is not my favorite. Bluebeard. Now that's a castle I can get into. This was such fun!I've been thinking...I'm not sure I have a favorite fairy tale or castle. 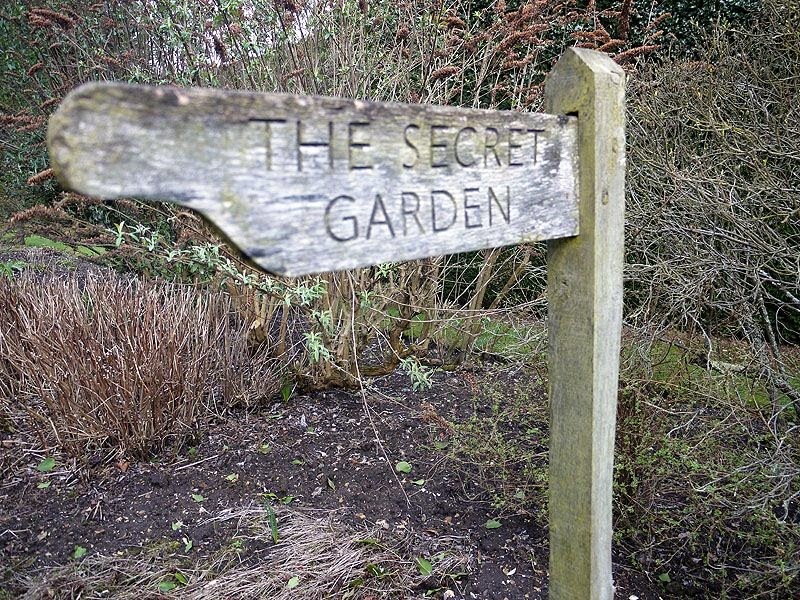 But I LOVE The Secret Garden. And love the excerpt. Now I have to see what happens next!! I'm enamored of castles and old buildings. Could this be because of Cinderella and the other fairy tales from childhood? Possibly--who knows? I remember going through a Grimm stage -- wow. Talk about dark. The troll under the bridge always got to me. I always like the tale of Rapunzel -- that's one of my favorites. Thanks all for your comments, and thanks Debbie for letting us "sit in" today. We have met Angela Lansbury, Hallie, and she is as lovely as she seems. We like Rhys's books, too. And we'e still a sucker for Cinderella. The special pleasure we had with this book was revisiting the Cotswolds, a beautiful part of England. 42 books! Wow! That's such an amazing accomplishment, great for you both and great for your fans. I think you will please your loyal fan base and gain many more with this new novel. Being a Downton Abbey addict, I was immediately drawn into your excerpt. Now, I need to read the book to see where this delightful tale goes. Favorite fairy tale? Hmm. It's probably a toss up between Sleeping Beauty and Cinderella. My five-year-old granddaughter may have influenced my pull toward Sleeping Beauty, as she loves all things Aurora. I know this one is near and dear! Thanks for the behind-the-scenes look. Kathy Reel, you mention 42 books. Yes, you're right. And I wrote three of those books with my father, Donald Bain. They are Manhattans & Murder, Rum & Razors and Three Strikes, You're Dead. Death of a Blue Blood was also inspired by a complimentary press trip to the Cotswolds for an article that I assigned when I was a magazine editor. Glad my dad loved the experience enough to revisit!